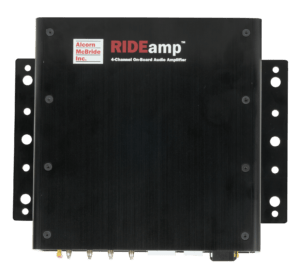 The most significant of those challenges is the ability to precisely synchronize on-board audio with wayside audio, video, lighting, animatronics, etc. 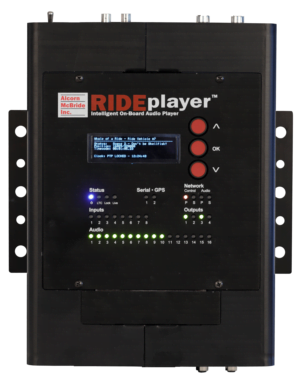 RidePlayer accomplishes this by providing a state-of-the-art synchronization system that can use one of several methods to maintain lock between on-board and wayside systems. Those methods include GPS (which can be distributed with repeaters for indoor applications), SMPTE (which can be transmitted wirelessly), Video Genlock, and IEEE-1588 (CIP Sync). Another significant challenge is the ability to trigger and monitor important sub-systems like animation controllers, PLCs, RFID scanners, and other miscellaneous equipment. 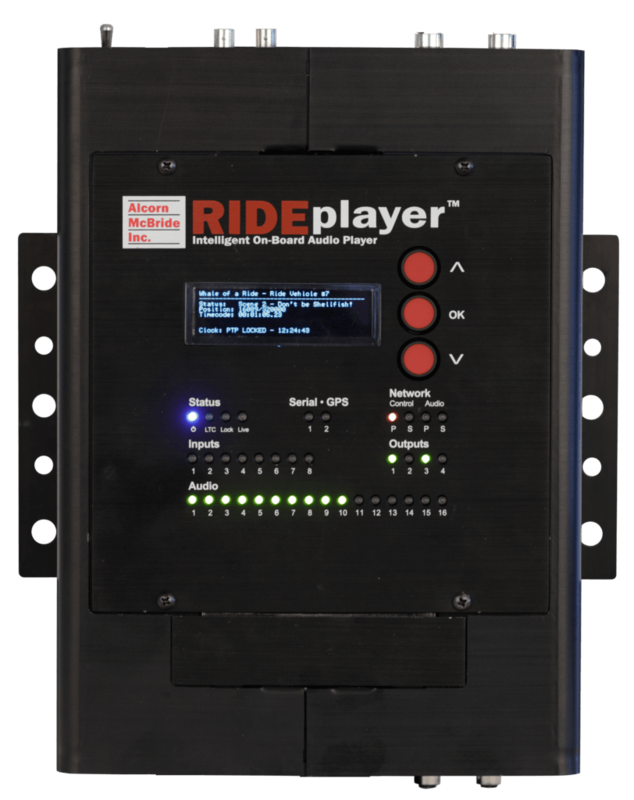 RidePlayer overcomes this challenge by integrating the power of Alcorn McBride V-Series control into the same hardware platform. 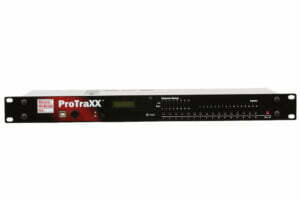 This means the capability to interface to just about any device including PLCs, animation controllers, sensors, lighting systems, video servers, and our ShowTouch panels. Of course, the primary purpose of this device is to provide high-quality audio playback so it has a wide-range of features to suit that requirement well. 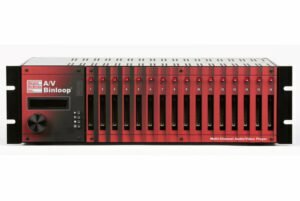 It will be capable of sourcing up to 16 outputs of 24-bit 96kHz uncompressed audio with the ability to route, mix, and crossfade between tracks. At 24-bit 96kHz, each output will have up to 4 layers of polyphonic playback capability.